Intelligent software tool to manage and communicate with peripheral devices. 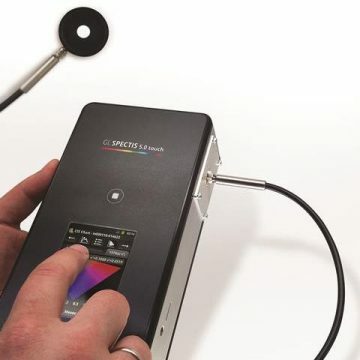 The world of LED light measurement is expanding beyond traditional optical testing with thermal conditions, current or power levels also requiring measurement and reporting. The GL Spectrosoft Automation add-on automates complex operations, supplements and accelerates measurements of additional information (eg. the luminous efficacy, temperature, etc.) and minimizes errors caused by misalignment of the equipment. Instead of individually setting up parameters for each connected device separately, this novel additional software communicates with and runs all of them. 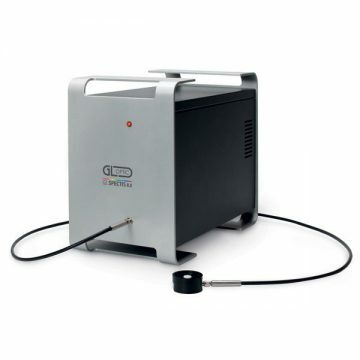 It is the perfect tool for laboratories with complex operations and production applications alike. A complete sequence of operations can be easily preset in the drag and drop interface, such as: cooling temperature, current and voltage before a measurement with the use of programmable peripheral devices. Choose the relevant measurement options from the list of available operations and create a measurement script which will be automatically executed by the software. Collect data from external devices and integrate all your critical information together in a single measurement report. Simply set parameters and check the influence of the current or temperature on the performance of your lighting product and create a comprehensive analysis summary. The Automation add-on supports programmable power supplies, current sources, multimeters and temperature controllers. Different current levels or temperature conditions can now be monitored and measured with the use of the automation script editor. Select from a list of support devices to have custom integrations of your own device developed for you. The latest industry standards and guidelines for proper LED measurement put a lot of attention on additional parameters which have significant influence on LED performance. 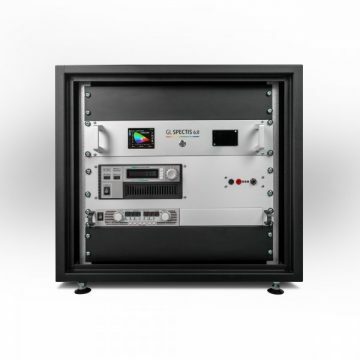 These are mainly monitoring thermal performance and electrical characteristics like current and voltage. This is why modern LED measurement includes optical measurements along with temperature measurement and stabilized, monitored power parameters. 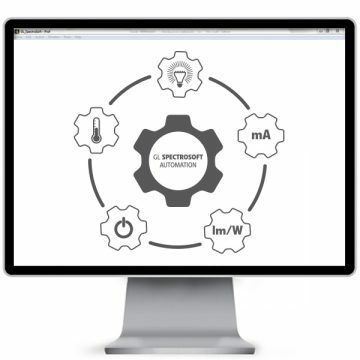 Spectrosoft Automation was purpose built to control these complex testing procedures, and communicate with different instruments at the same time providing the operator with unified interface and report interface. Once you connect all devices which are supported by the Automation software, building a custom measurement script is simply a matter of using the drag and drop interface and selecting the logical sequence from the list of available commands to the Automation editor window. These scripts may include setting initial parameters of power supply to your lamp, measurement parameters of your spectrometer and readings from a separated power meter for instance. For performance tests and measurements, you can include different current levels and check optical output of your lighting products under different conditions. The software will help you to build the measurement sequence and store all data in a user-friendly customized reports. Automation supports Peltier-controlled LED mounts (TEC) which can stabilize the LED module at a given temperature level e.g. 25°C as required by the CIE standards. It can also simulate higher ‘working’ temperatures as required by IES LM standards for LED modules test and measurements. All this is as simple as putting the list of steps and parameters in the editor. You don’t need to be a programmer to control, switch and measure various parameters using this PC interface. GL Optic Sphere controller box.